A whole range of products allows you to manage appliances and devices in your house efficiently, even when you aren’t there. 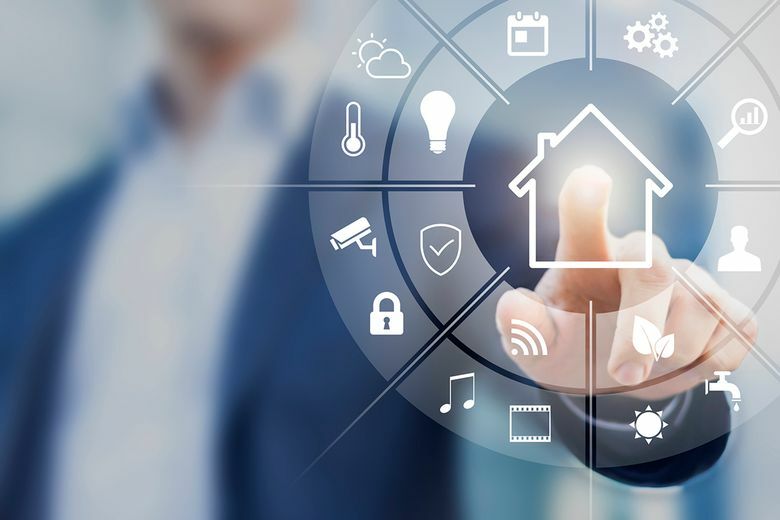 If when you hear the term “smart home” you still picture some kind sentient house as part of a “Jetsons”-esque future, it may be time to upgrade your understanding. You probably already have a smart home device and you might not even know it! These days smart home technology covers a whole range of products that can allow you to manage appliances and devices in your house efficiently, even when you aren’t there. Some work as a suite of products so that they can all work together for even more efficiency and ease. No idea where to start? No worries. Here are a few steps you can take to get your home working in a whole new way, so you have more time to enjoy life – whether you’re home, or not. When you install smart plugs in your home, you can help cut back on that dreadful feeling of “did I forget to turn off the toaster/iron, etc.” once you’ve already left the house. Smart plugs fit right into your original outlet and then hook up via Wi-Fi to an app on your phone or other device so you can monitor any particular outlet and turn on or off any appliance plugged into that outlet even if you aren’t home. Apps like Hive use home-automation hubs to connect your smart plugs, window sensors and other devices to your Wi-Fi so you can manage them from anywhere. Discover Hive smart home services at the B8ta store in Seattle’s University Village shopping center. At B8ta, new products are displayed out of the box so you can experience them firsthand. Yes, even your light bulbs can be “smart” now. If you replace your bulbs with smart versions you can forget having to get out of bed or off the couch to turn off the light by setting up schedules you can manage with an app. Win-win! This is an especially fun move toward turning your home into a smart one. You can also get lights that change color to fit the time of day, set mood lighting to kick in at certain times or for special occasions. Get a warm (or cool) welcome home with a smart thermostat. Most smart thermostats will allow you to set heating and cooling schedules so your home never needs to heat up or cool down unnecessarily, like if no one is home. And you can adjust the temperature remotely, so it’s comfortable by the time you return home. A smart thermostat like the one offered through the Hive Welcome Home Plans allows you to create different heating zones throughout your home, so your heating or cooling is only on if you need it to be. Set up your smart home easily with a Hive smart home plan. Each plan includes a set of smart home products like a thermostat, lightbulbs, plugs, sensors and a camera – all without any upfront costs. Visit the Hive website today and choose the plan that best fits your home!